Operating mainly in West and South West London from Richmond, Twickenham, Kew and Barnes, to Wimbledon, Kingston and Putney, we offer services for traditional timber box-sash and casement windows. All full replacement sash windows (including Box-frame or Master-frame) have to comply with Government regulations for conservation of fuel and power (Part-L of Building Regulations) and our sash windows are all manufactured to meet this compliance. The installations are registered with the Local Planning Authorities, inspected by Building Control Department and certified with your Local Authority. Changing your windows not only influences the look of your home, it can help to reduce heating bills too – so it’s important to get it right. But how do you know which company to choose? Some offer high quality sash windows at a high price. Others offer low quality windows at a lower price. And that is where we come in. We deliver excellent craftsmanship at a competitive price. We are proud of the fact that most of our work comes through recommendation and returning customers. 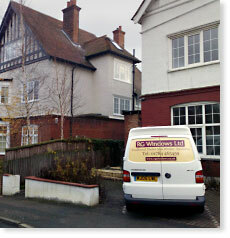 There is no minimum charge for our sash windows and no job is too small. So shop around, seek quotes elsewhere, then phone us for a free no obligations visit by one of our experts (without the high power sales pitch). You will be in for a pleasant surprise. London areas covered: Acton, Battersea, Balham, Barnet, Bayswater, Barnes, Belgravia, Chelsea, Chiswick, Clapham, Ealing, Earlsfield, Fulham, Hammersmith, Ham, Hampton, Harrow, Heathrow, Islington, Kensington, Kingston, Knightsbridge, London Bridge, Maida Vale, Marylebone, Mayfair, Morden, Notting Hill, Pimlico, Putney, Richmond, Shepherds Bush, St Johns Wood, Southfields, South Kensington, Surbiton, Tooting, Victoria, Wandsworth, Westminster, Wimbledon.